As a busy mom of seven, I love that I can still work from home and help support my family. I also love having something of my own that I am passionate about and that allows me to have something outside of being a wife and a mom. I love that I can build great relationships with women that I would otherwise never meet, all because of an online side hustle. UPDATE: THIS MONTH ONLY, YOU CAN START FOR FREE!!! This has never been offered before, so now is the time for you! Sign up using the instructions below, and you will have an immediate credit in your account, making sign up FREE! I have been in direct marketing for years now. I have never been more involved in social media than I am now, mostly due to being in the blogging world. I have learned so much since starting a blog and that has impacted my side business in a huge way! Some of you may have known me as a health and fitness coach for the last couple years. I have recently walked away from the business I built with that company in favor of starting a LipSense business. You may think I am crazy and that’s ok! I did too for awhile, until I did extensive research…and then still more research! I walked away from a steady income that has helped support my family and away from a team that I loved and cherished. That is how much I believe in this business. WHY BECOME A LIPSENSE DISTRIBUTOR? 1. The time to start is NOW. We are in the momentum phase of this business and it is going to explode! This is a HUGE opportunity! 2. It is only $55 to sign up! I don’t know about you, but that is extremely low compared to many businesses. 3. The income potential is HUGE! I have not seen another compensation plan quite like this. Not to mention, the company is growing at a tremendous pace and yet the market is wide open. You have the opportunity to capitalize on that growth and make a full-time income, potentially much faster than you thought possible. 4. You can earn a FREE CAR, and free vacations and tons of product for free. The car bonus is one of the many reasons I signed up. With a growing family, we need a new car! 5. No selling. LipSense is an AMAZING product and there is nothing else like it on the market. I do not have to sell to anyone, people come to me wanting to try it, and then wanting more colors! I have people asking me to have online parties and demos too. I just wear it and people ask me for it! A lipcolor that doesn’t come off when you drink coffee or kiss your babies? Yes, please! Did I mention you get 20-50% off your orders too??? 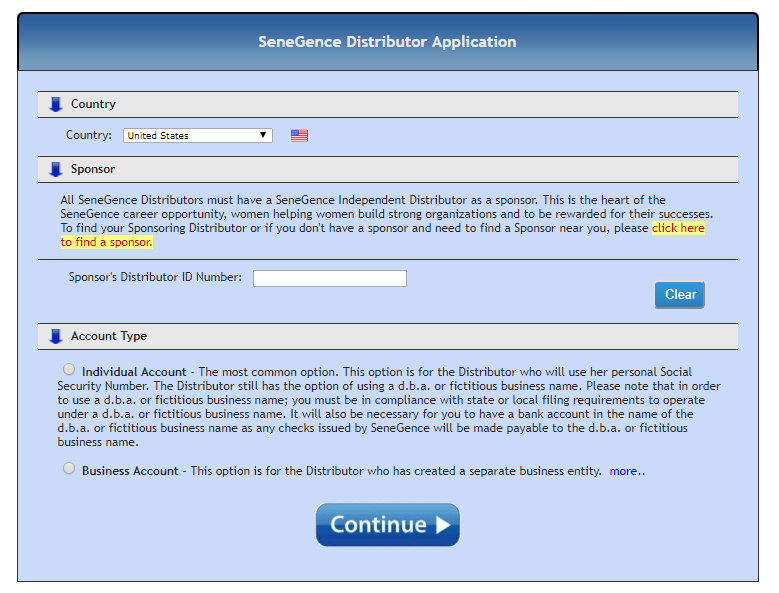 It only costs $55 to become a SeneGence/LipSense distributor. You will get your business package sent to you in the mail with all you need to start your business, and then some! I was beyond excited when I opened up my business kit and saw all that was included. There are no monthly quotas and you only have to pay the $55 annual fee to remain a distributor. You will receive 20-50% off all products, depending on your sales or how much you spend. This means you can either “sell” to your friends and family and social following or you can just become a distributor for the personal discount and buy products for yourself. There are bonuses upon bonuses upon bonuses. Seriously. It would actually be confusing if I went into all the bonuses and the different ways you can earn them. The income potential is crazy huge. I know many distributors that are earning 5 figures each month, after only a short time in the business. I am more than happy to put you in touch with my sponsor, who is one of those women! If you are ready to join me, just follow the steps below and I will be in touch with you! If you know me at all, you know that I am big into building relationships, so I can’t wait to get to know you! • Click HERE and put in your country. • Confirm that I am your sponsor (Terryn Winfield) on the next page. • It will then take you to a new screen where you will enter in all of your contact information. • When it asks for a fictitious business name just put your first and last name. This is the name your commission checks will be made out to. • YOU ARE ALL SET! 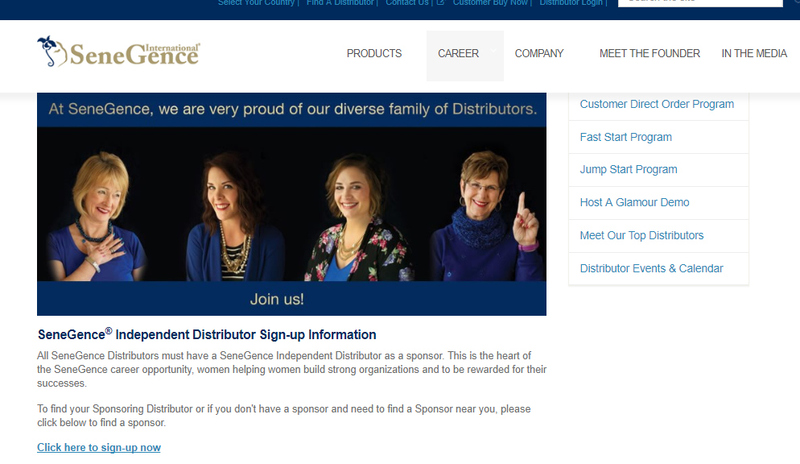 You are now officially a LipSense distributor on one of the top teams in the company! You own a business! Yay! I will receive an email from SeneGence when you join my team and I will get in touch with you via email to help you get started! We have a private Facebook group where we share ideas, learn about strategies to build your business and social media and so much more. You will get a link to join that group in the email I send you, so be on the lookout! BE EXCITED! You are not alone in this, I promise! P.S. As a welcome gift you will receive a free color of your choice from me when you sign up under me and place your first order! 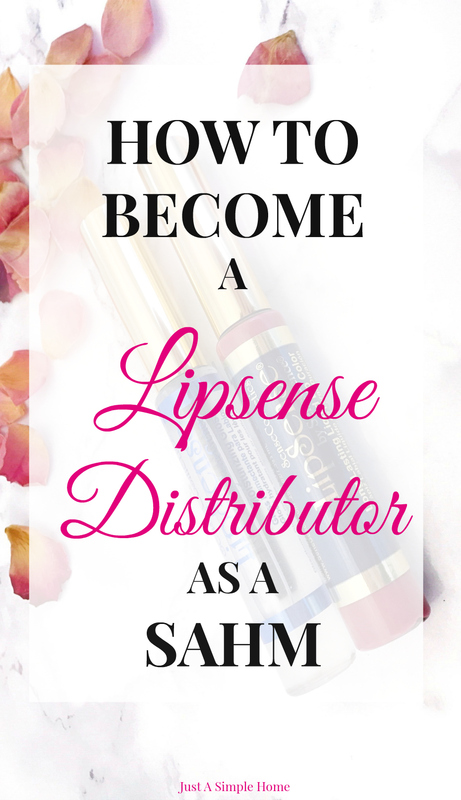 Do you have any other questions about how to become a LipSense distributor? If so, please send me an email at terryn@justasimplehome.com! I can’t wait to connect with you! Thanks for sharing! It’s an interesting concept and a great way to make some extra money. And who doesn’t want a free car?! Love, love, love LipSense! A good friend is a distributor and beyond absolutely adoring the product, it’s great to support her small business too. Favs right now are Sassy Z and Blu-Red. One of my SAHM friends is also doing Lipsense. I had never heard of it until I saw her Facebook posts. It sounds like a great way for SAHM to bring in some extra income. I just tried lip sense for the first time this year! And I am in love! I have a friend who sells Lipsense and loves it! I love that you are able to do what you love and still be home with your kiddos! Such a fun opportunity to make a few extra bucks and who doesn’t want that? 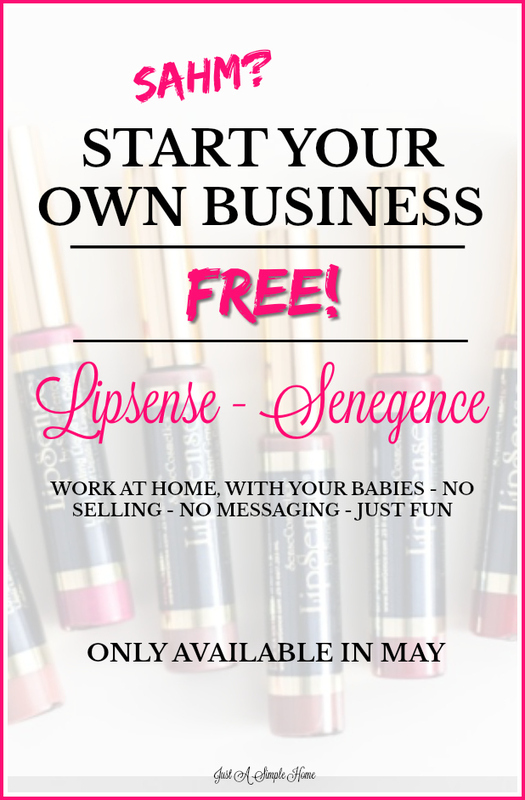 I’ve never heard of LipSense, but it sounds like a great way to make some extra money. I took a quick look around and I don’t think I can sign up, since I live in The Netherlands… too bad!! Wow this is awesome!! I heard about these perks before! I know a few distributors! I have heard of this before but never knew too much about it. This sounds really cool, who doesn’t love lipstick!